ITER Principal Deputy Director-General Norbert Holtkamp giving his opening presentation to the Management Advisory Committee. When Victor Vdovin came to Cadarache for the first time in 1975, he and his colleagues from the Kurchatov Institute in Moscow were welcomed at the Château with the words "welcome to the future site of the JET facility." Fusion, in those days, was not part of the CEA-Cadarache's portfolio ... Tore Supra did not even exist on paper ... and, as you've guessed, the location of the Joint European Torus had not yet been decided. 35 years later, the Russian fusion scientist—who has contributed to fusion history by participating in the construction of many tokamaks, amongst them TM-1 which was later upgraded, renamed CASTOR and moved to the Czech Republic—was back in Cadarache. 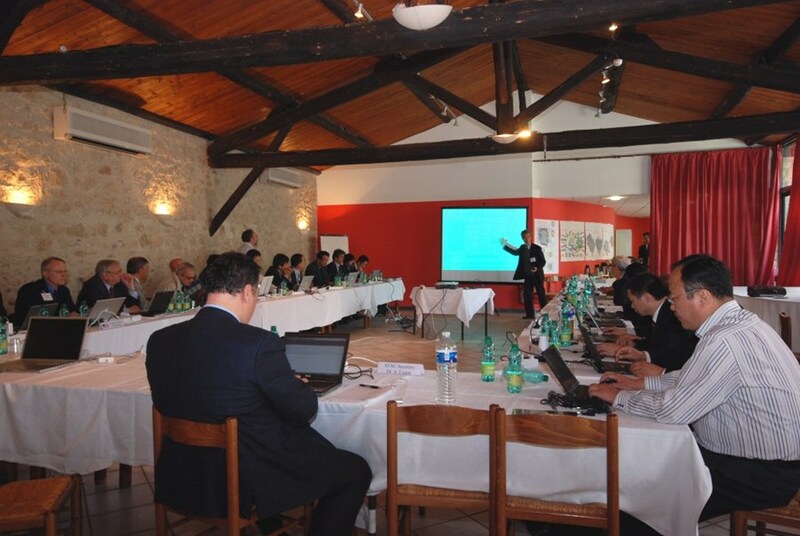 This time, Vdovin had come to southern France to participate as a senior expert to the ITER Science and Technology Advisory Committee (STAC) that assembled once again in the medieval setting of the Château de Cadarache. How to adopt the Research Plan to the updated schedule was one of the issues the the Science and Technology Advisory Committee had to assess. 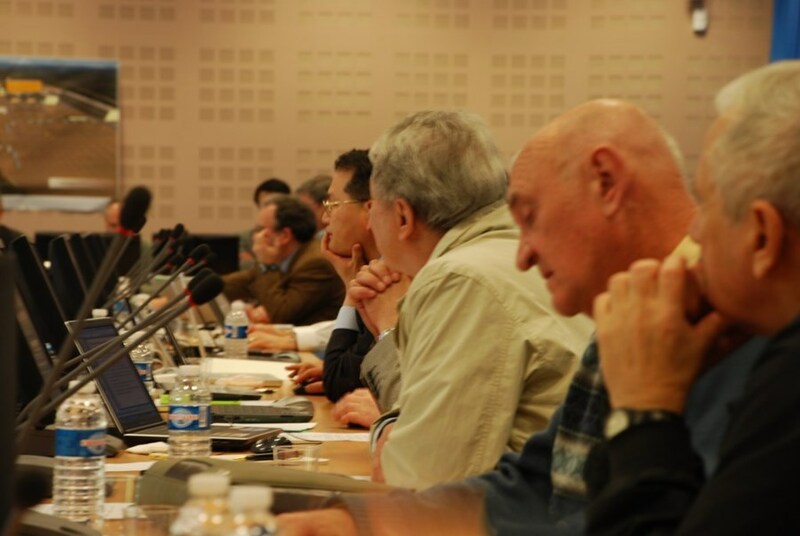 It was meeting week, and all attention was focused on the two top-level committees reporting to the ITER Council, the STAC and the Management Advisory Committee (MAC). 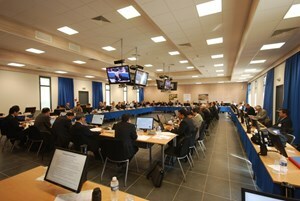 While the STAC members assessed the technical feasibility of the "Baseline" with an earliest possible First Plasma in November 2019 and commencement of deuterium-tritium operation in March 2027, the MAC assessed the detailed technical plan for the above-mentioned schedule and the resource plan necessary for its execution. "This was a week of intense discussions during which we prepared the technical basis for finalizing ITER Baseline," summarized the Chairman of the MAC, Gyung-Su Lee. "Together we checked the Project Baseline and its three pillars scope, schedule and cost from every possible angle so that we feel confident to present it to the ITER Council in June." Intense discussions between STAC members during a breakout session. One evening this week, Vdovin—an aged fusion hand like so many experts to STAC and MAC—reflected on the three decades since fusion took a decisive turn towards building "big machines" by way of international collaboration. "Yes, things have changed," he said. Not so much inside the room where he had been welcomed more than thirty years ago, but outside where the facility is about to be built that will ultimately prove that fusion energy is an option for the future. "Over the past 45 years that I have participated in fusion research, we have accumulated a respectable database," Vdovin adds. "Based on the knowledge we gained I am confident that we can do it."